"Adopt Your Pets From Animal Shelters & Be Sure To Have Them Spayed & Neutered!" Photograph © Copyright 2002, Eric Smith. All rights reserved. Photo and quote are not to be construed as an endorsement of DooDoo Voodoo in any way by the Mannings; they simply support our animal charity work. We & they believe in saving animals' lives. We have been appointed a factory-authorized distributor of the full line of EDIC professional carpet and hard-surface cleaning equipment, as well as the Powr-Flite line of cleaning equipment and the SOS subsurface extraction tools. 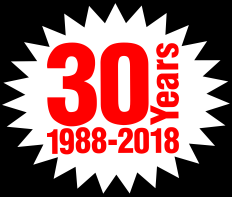 If you're interested in purchasing the very same equipment we have used and loved for more than a decade, and that many top professionals use, check out our PRODUCTS page, e-mail us or call us at 317-762-ODOR. This is kind of a gateway page, from which we link you to other pages that have even more information on this topic. Sorry if all the hyperlinks are confusing, but if we put all the info on this page, it'd be even longer than it is. One of these days, we'll make time to edit it all down and make one ginormous page, but for now, we ask your indulgence and patience with the links and any repetition. Be sure to follow the various links the above pages contain, too, as they help tie everything together. Cleaning Yourself? Hiring A Pro? DooDoo Voodoo Can Tackle Your Toughest Stains & Odors. We don't really provide carpet cleaning and remediation services ourselves right now in the Indianapolis area, though we may again one of these days. We did in the past and we hope that by reading the information on this page, you'll be smarter about how to attack odors and stains in your own carpet, either by yourself or with the help of a professional. Get them to use DooDoo Voodoo instead of their usual chemicals and you'll be pleased with the results. Or, treat your worst areas with DooDoo Voodoo first, then have then come behind you and do a hot-water extraction. 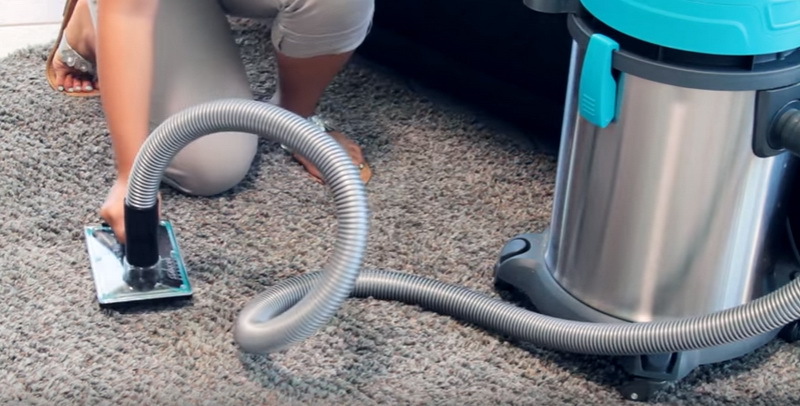 As you may have experienced for yourself, conventional "wand" carpet cleaning often isn’t enough to remove pet odor-causing organic contaminants from deep within carpet, pad and subfloor. Over the years, we pioneered a system, using specialized and patented tools, that took pet odor remediation to a whole new level (literally) because our capabilities are dramatically more effective than what a regular wand-type carpet cleaning could ever accomplish. As an example of what our tools, chemistry and methods can do, the top picture shows what we removed from just 38 square feet of carpet that had already been conventionally (wand) cleaned and appeared "clean" to untrained eyes. The good news is that we now distribute the specialized tools we use and you can accomplish the same extraordinary results for as little as $47.99 (with free shipping!). We'll tell you more about these amazing tools in just a minute. DooDoo Voodoo alone is phenomenal at removing stains and odors. But if you'd like our input on doing your cleaning and remediation yourself, what equipment to buy/rent, what to tell your carpet cleaning technician, etc., feel free to e-mail us or call us at 317-762-ODOR. We're happy to help advise you on how to best use your DooDoo Voodoo to get the maximum benefit from it. Deep In The Heart Of...Subfloor? Our favorite pet odor and stain eradication tools are from SOS and we are proud to announce that you can now buy the phenomenal (and phenomenally affordable) SOS tools right here along with your DooDoo Voodoo. The SOS Hand Tool is shown to the right (extraction machine and hose not included; click the image for a larger version). There is simply no more effective means of eradicating pet odors and stains than to perform deep-down subsurface extraction with DooDoo Voodoo, which is like running your carpet and pad through the washing machine.™ It's WAY easier and more affordable to do this yourself than you might think --- in fact, the tools start at just $47.99 with free shipping! If you're doing cleaning yourself, either with a machine you own or one that you rent, you've just gotta learn more about subsurface extraction. I've been doing it and evangelizing about it for nearly 20 years and never cease to be amazed by what it can do. 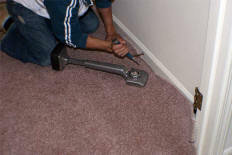 "Trashed" carpet and pad are no match for the SOS subsurface tools and DooDoo Voodoo. While DooDoo Voodoo alone can solve many, if not most, pet odor problems, even where repeated urination has occurred (see the blacklight picture above), there are times when total odor remediation requires more invasive methods. 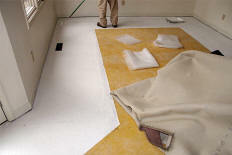 These can include the installation of new types of non-impregnable pad or plastic sheeting, if desired, subfloor sealing, removal and extensive cleaning & treating of both sides of the carpet, repainting & recaulking walls & trim as required, relaying (re-stretching) of the carpet, patching of the carpet and more. Unfortunately for consumers, most carpet cleaning companies shy away from these tasks like the plague because of the extra time, expertise, tooling, liability and expense involved. But with subsurface extraction tools and DooDoo Voodoo, you can negate the need for a lot of the in-depth work, saving yourself time and money in the process. If you're hiring a professional cleaner, but sure to ask if the technician(s) doing your work are IICRC-certified, and at what level (there are many different types of IICRC certification). While this is no guarantee that they'll do your job correctly, it's always better to have more-educated techs on the job, as they don't guesstimate and fly blind like non-educated techs may. Please vacuum the carpeting as thoroughly as possible before we arrive. We move most furniture, but you can save money by moving it yourself. If you have breakable items such as dishes in a China cabinet, you might want to remove them before we perform our work. If you're trying to salvage your carpet or a piece of furniture, purchase some DooDoo Voodoo and pre-soak the soiled areas up to two hours prior to the arrival of the technicians. This allows DooDoo Voodoo enough dwell time to neutralize some odor and loosen the organic material. This allows the technicians to do a better job of extracting the areas. If your problem extends into your subfloor and you desire to replace your carpet pad, you can save some time and money by picking up new pad prior to the work date. You'll need to know what thickness and density of pad you have. If you want your subfloor sealed, we recommend BIN sealer by Zinsser, which is available at most home improvement stores. You can pick it up yourself and save time and money, too, and you can even paint it on after we pull your carpet back (top pic). If you're going to do this, don't forget a brush (2", angled works well), a roller with cover (short nap of 3/8") and a roller pan. A 4' extension handle for the roller might also help. 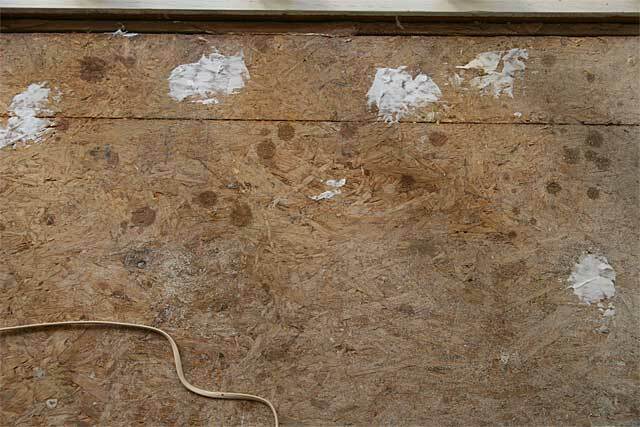 If you want to gently pull your carpet back and remove your tackless strips, which many people call "tack strips" (pic #2), we recommend that you also fill any resulting nail holes with high-quality paintable caulk (pic #3). You can dab it on with your finger or you can use a putty knife. We like the disposable plastic type (<$1.00) in the 1"-2" widths. Get the best paintable, silicone-based caulk you can afford; it will tend to crack less over the long run. Often people desire or need to repaint their baseboards after remediation work to help freshen the look and seal in any residual odors that might emanate from broken caulk joints. 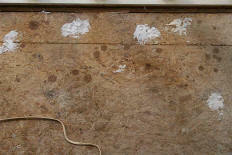 If you want to repaint the baseboards, it's a good idea to re-caulk the junctures at this time, too. Don't forget to get paint and extra caulk while you're at the home improvement store. In short, there are many ways you can be involved in the job to lessen the time and expense involved. We'll work with you—literally and figuratively, if you desire—to make odor remediation as painless as possible, in every regard. There are times when repeated applications of DooDoo Voodoo are necessary to continue lessening the odor in your carpet & backing. Some customers have the time (patience) for this, while others don't. If you don't, we'll discuss the options with you and let you know what the most cost-effective way to proceed is. When the job's finished, you'll end up with a great-looking, much less odorous room and your carpet will actually last longer due to the thoroughness of our cleaning. 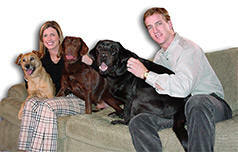 a division of Four On The Floor Pet Products, Inc.